Laurel Burch's cats are back in this collection from Clothworks. 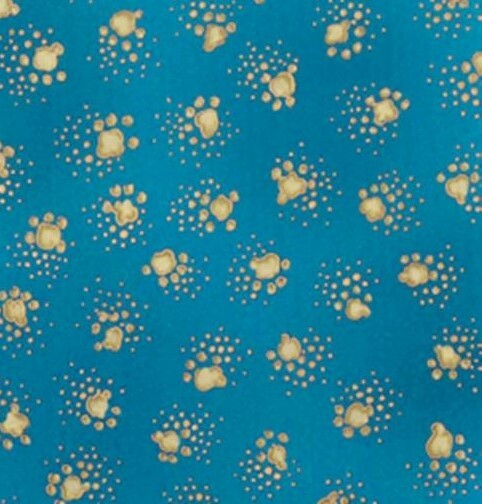 This fabric features gold pawprints on a bright turquoise background. Gold metallic highlights. Print Size:Paw prints are approximately 3/8" across.